This section will be added to, but here are the basics. 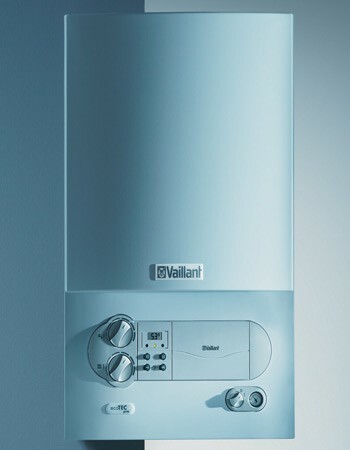 The boiler we have included below has won the coveted Which? Award, and it is perhaps wise to use this as a starting point when working out your central heating requirements. Other residential heating systems include full electric systems that will not necessarily cost as much as you may think, plus the growing list of Renewable Energy options that include: Solar Water Heating Systems, Heat Pumps and Biomass Boilers. 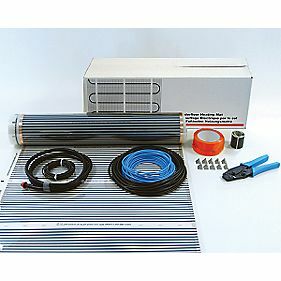 Foil Underfloor Heating Sets for Wooden Floors are becoming cheaper all the time. What was once a luxury home improvement item is now a staple of heating solutions. This 10m Square pack is around £300. 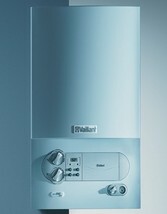 The Vaillant EcoTec Pro 24NG and the 28NG are, according to surveys, including one carried out by Which?, among the best condensing boilers on the market. The price tag of below £800 is also well within the paramters of inexpensive. B&Q are now offering a fully fitted Solar Panel deal that starts with this three panel set for below £5000. SolarPanels.co.uk is the UK's leading website on solar panels. They provide quotes from local solar panel installers. All you have to do is complete the quote form.